You may encounter ACT Math questions that ask you to multiply an entire matrix by a real number. Fortunately, this is a straightforward operation: Simply multiply the integer by every element in the matrix. 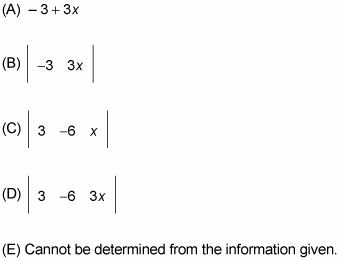 Doing so is similar to using the distributive property to multiply a number by each term inside a set of parentheses. Yeah, it’s that easy. Therefore, the correct answer is Choice (D).